Though boasting less of a chaotic bustle of northern New Jersey, the southern end of the state remains an important economic region. And Atlantic City Electric (ACE) provides the power that makes it run. As with many of the utilities in the northeast, ACE began as a smaller utility in competition with the many start-ups in the new industry at the end of the 19th century. The utility began as the Electric Light Company of Atlantic City before eventually incorporating numerous smaller utilities around the region over the next several decades. The company was instrumental in the development of several major New Jersey transit projects in the mid-20th century. Eventually the company joined with Delmarva Power & Light, which provides power for the Delmarva Peninsula, under the holding company Conectiv Power Delivery. Conectiv was then purchased by Potomac Electric Power Company, or Pepco, under Pepco Holdings, Inc. 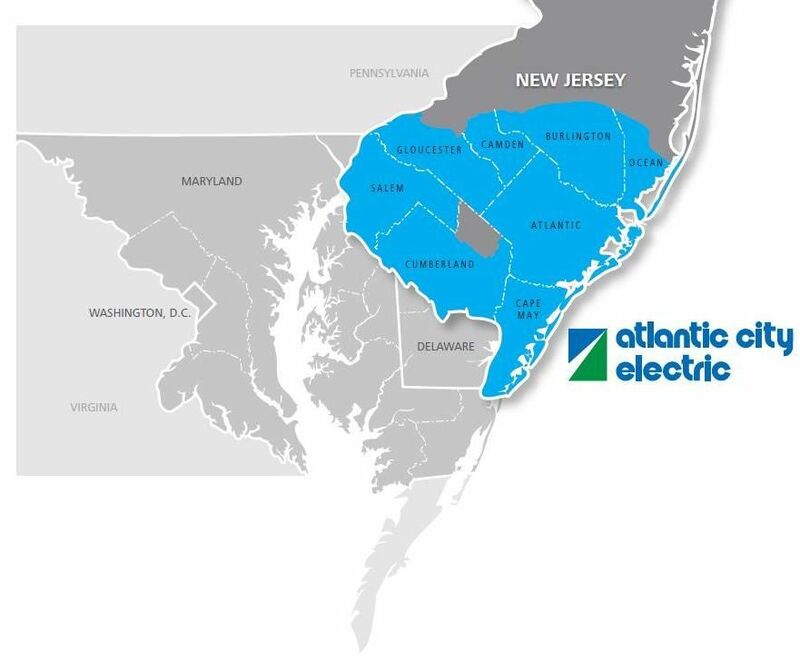 While the northern two-thirds of the state is split between several utility companies in bits and pieces, the southern end of the state belongs solidly to Atlantic City Electric. ACE’s service area encompasses nearly all of the southern end of New Jersey, starting just southwest of Camden in Gloucester county and running roughly east to the Atlantic Ocean. In all the utility company provides power for eight different counties, including all of Atlantic, Cape May and Salem Counties. Gloucester, Camden Burlington and Ocean Counties are split with PSE&G and Jersey Central Power & Light. ACE serves all of Cumberland County except a small area serviced by the Vineland Municipal Authority. All told, the utility covers around 2,700 square miles of New Jersey, serving around 545,000 customers from all sectors. ACE customers are able to save money because of the competition that forces retail electricity providers to offer the lowest ACE electricity rates possible. Competition also drives providers to create flexible and customized electricity plans and options as well as to generate other incentives such as innovative products and services. Switching electricity providers and ACE electricity rates is fast, easy and convenient. All you need is your account information from your most recent ACE electricity bill. You can make the switch by entering your zip code into the Compare& Switch tool, located on the right side of this page, and then comparing electricity plans and providers. Next, click on the plan and provider you would like to switch to and fill out the contact and account information forms. Your new provider will contact Atlantic City Electric directly so you don’t have to. It will take one or two billing cycles to see your new provider on your ACE bill. Remember, Atlantic City Electric will still deliver your electricity, send your bill, and maintain all the wires and poles that deliver the electricity to your home. Deliver and transmission rates will NOT change when you switch to a retail electricity provider.